Nokia (NYSE:NOK) is shutting down its Mobile Financial Services unit as the beleaguered device maker continues its strategy to move out of non-core business segments. 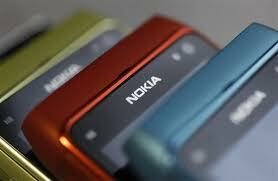 Nokia did not reveal when the Mobile Financial Services will close. "It's not going to happen overnight and consumers already using the service are not at risk," a Nokia spokesman told Dow Jones Newswires. "Our services will continue to operate while we work with our banking, market and technology partners as well as our employees, agents and others to plan future options in accordance with all customer and regulatory requirements." Nokia Money launched in mid-2009, promising users in emerging markets access to basic transactions including person-to-person transfers, merchant and utility payments and prepaid SIM card top-ups. Nokia introduced the service in association with Obopay, a mobile payment solutions company, in which it invested $70 million in early 2009. Nokia later inked partnerships with India's Yes Bank and Union Bank, but the company struggled to extend the effort to other markets. "While the rewards are potentially high for a well-timed mobile money initiative in developing markets, as witnessed by the phenomenal success of M-Pesa in Kenya, the time for new entrants may have passed and certainly some countries, such as India where Nokia chose to place their interests, are already well served by existing mobile money services," Yankee Group Senior Analyst Nick Holland said in a statement. "It may be that Nokia is simply cutting back to core interests that are more central to its position as a handset manufacturer, but its mobile money backpedaling goes to show that even a name as internationally recognized as Nokia cannot immediately guarantee success in the fiercely competitive mobile payment landscape." Earlier this month, Nokia announced plans to discontinue its Ovi Share media sharing site on May 31, 2012, another business decision designed to shift the company's focus to core services led by its Location & Commerce unit. Nokia created the Location & Commerce division in June 2011, integrating its Navteq navigation solutions unit with its mobile social networking efforts.